MILAN (AP) — An Italian gunman with extreme right-wing sympathies shot and wounded six African immigrants Saturday in a two-hour drive-by shooting spree, authorities said, terrorizing a small Italian city where a Nigerian man had been arrested days earlier in a teenager’s gruesome killing. 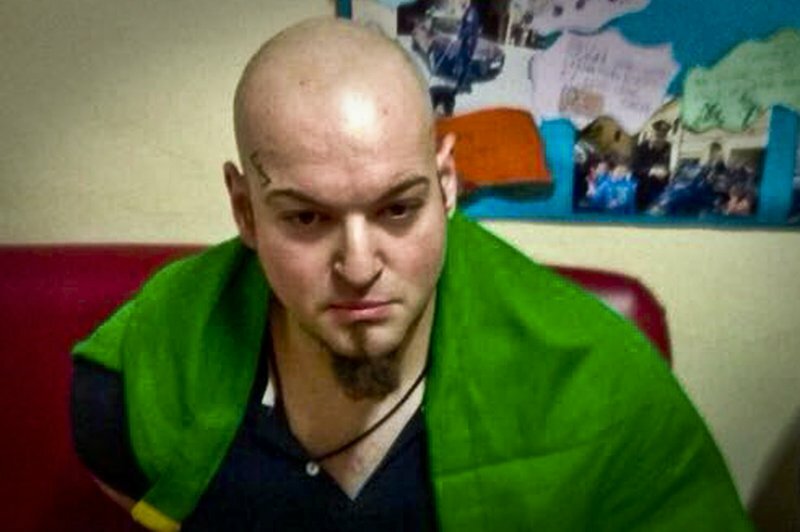 Police photos showed the shooting suspect with a neo-Nazi tattoo prominently on his forehead as he sat in custody and an Italian flag tied around his neck as he was arrested in the central Italian city of Macerata,. Authorities identified him as Luca Traini, a 28-year-old Italian with no previous record. Authorities said the six wounded — five men and one woman — appeared to be random targets in various parts of the city of 43,000 in Italy’s central Marche region. Italian news reports indicated that the gunman’s trajectory included the area where the Italian murder victim was found and where the prime suspect in her slaying lived. The identities and nationalities of the shooting victims remained unknown. Hospital officials said late Saturday that one had been treated and released, while the others had either undergone surgery or were facing operations for their injuries. One of them remained in intensive care. “Whoever shoots is a delinquent, no matter the skin color. It is clear that out-of-control immigration ... brings social conflict,” he said. 1 Response to "Police: Extreme-right gunman shoots 6 Africans in Italy"